VINTAGE CABLE BOX: “American Pop”, 1981 – VHS Rewind! “American Pop” is a song with a simple rhyme; the condensed history of recorded music from big-band to punk, where the journey begins over a hundred years ago with Russian émigrés traveling to the United States to escape Cossack persecution. The descendants of an extended family fight in wars and face episodes of tragedy while trying to realize their musical aspirations. The story settles with young Tony, a Long Island punk who writes songs by night, washes dishes by day, all the while fighting an increasing dependency on heroin. Tony reunites with his long-lost son, Pete, who also shares an interest in music. Together they deal drugs to high-profile musicians. Tony’s addictions grow worse and he sells his musical instruments in order to pay for more drugs. He abandons Pete after taking all their money. Pete, obviously learning from his family’s missteps in life in pursuit of their own musical dreams, is hired on-the-spot by a musical group whom are stunned by his talent. 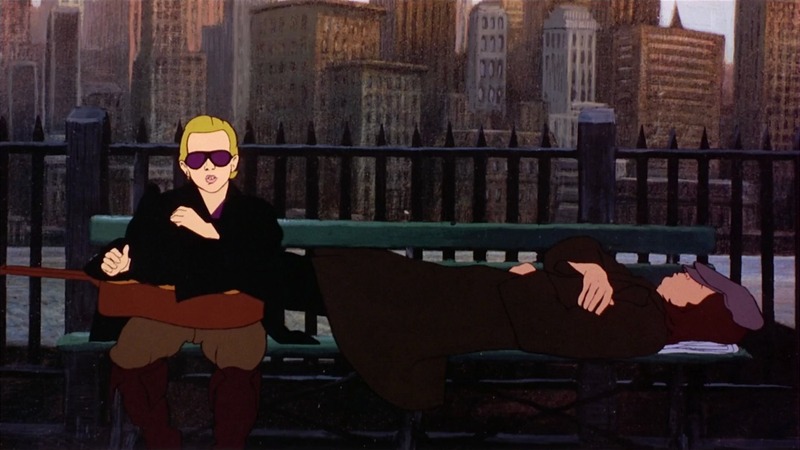 This was the nadir of adult animated features, and because of rights issues with the music used in the soundtrack, a forthcoming video release was blocked until 1995. The same problems arose with a pending video release for “Heavy Metal”, another cult favorite. Animated adult movies are not produced anymore. The market is now consistently geared for children. 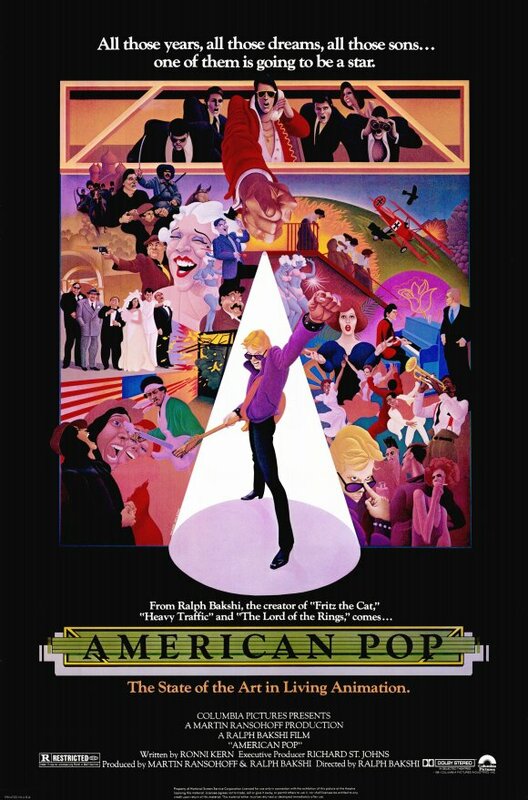 “American Pop” is an incredible movie to behold; predating “A Scanner Darkly” by 25 years, this mixed media marvel uses rotoscoping to create realistic movements in astonishing dance and music sequences (which recall classic Disney), and the result is tremendously rewarding. Ralph Bakshi, most notably, directed the first X-rated cartoon, “Fritz The Cat”, as well as a popular adaptation of “Lord Of The Rings”, and later, “Cool World”. “American Pop” serves to remind the audience that talent and dreams are not enough to succeed in this increasingly cold world. Sometimes all we need is a little luck. Each week (and sometimes twice a week! ), “Vintage Cable Box” explores the wonderful world of premium Cable TV of the early eighties. You can hear my podcast at Misadventures In BlissVille and you can visit my Facebook group page. “Vintage Cable Box” artwork by Bronwyn Knox.